In the late 1970s, it seemed that you couldn't enter a house that didn't hold a copy of Frampton Comes Alive.Today you can't browse in a thrift store or at a garage sale without running into a copy or two. Dust off that slab of vinyl and throw it on the turntable -- "Baby, I Love Your Way" and "Show Me the Way" have held up surprisingly well over the years. 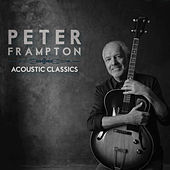 Don't be frightened by the pink-lighted perm he sports on the cover, Frampton's live album had all the vital energy that his previous studio releases oddly lacked. 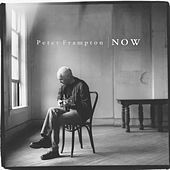 The record quickly sold in the millions and Frampton went on to have a less overwhelming hit with I'm In You, but the former Herd and Humble Pie guitarist's career and life almost ended after a car accident in 1978. As they were childhood friends, Frampton was a part of David Bowie's bloated Glass Spider tour.